With your support, I'll be able to expand my business and earn enough income to buy a dairy cow and construct a house for my family. Help Grace become a thriving stove entrepreneur in her community. To sponsor Grace, give $200 per month for her two year training program. You will receive four updates on Grace, as her business grows. After two years, your monthly gift will end. Grace is a stove entrepreneur whose income has enabled her to buy clothes and food for her family. She, her husband, and her three children all currently live with her mother-in-law, and she's working to save her earnings in order to construct a house of their own. Why she was selected for the program: Grace is a capable entrepreneur who shows lots of promise! Once she receives training in record keeping and marketing, she'll be in a great position to expand her business, improving the health of her community with her fuel-efficient stoves. 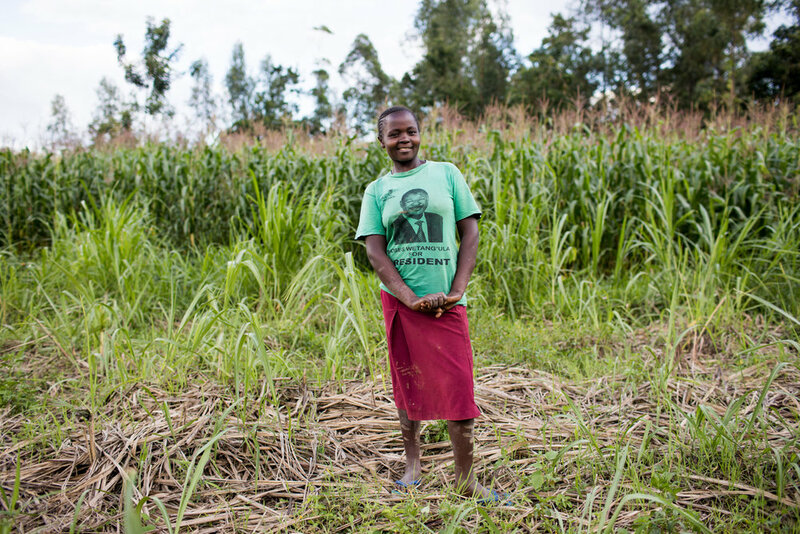 Her business goal: Grace is working to increase her sales so that she can pay to build a home for her family. She also hopes to purchase a dairy cow, which will supplement the family's income as well as provide fresh milk for her children.